The Rickrack Quilt designed by Jenny of Missouri Quilt Co, The Tutorial is available for free. Jenny Doan demonstrates how to make a quick and easy Rickrack quilt using 2.5-inch strips of precut fabric (jelly roll). She used "Sun Print 2019" Double Scoops by Alison Glass for Andover Fabric and a roll of white strips. 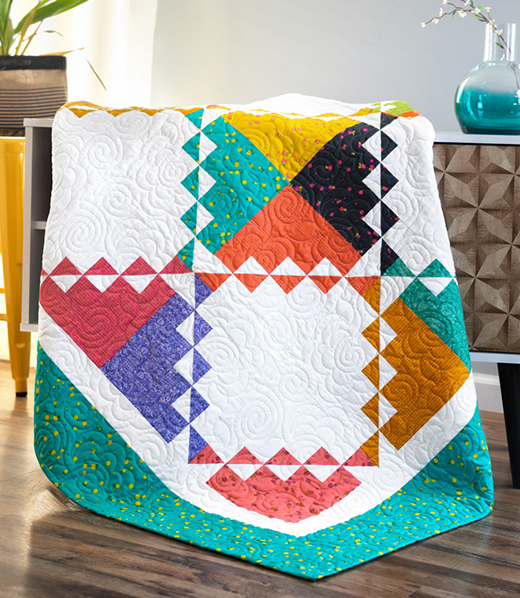 This fun and simple quilt block is very similar to a log cabin.